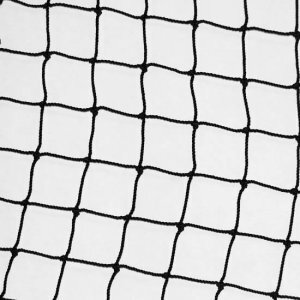 Our Divider Baffle Net can be hung to split up cages or hung in back wall of cage for extra protection/ dead-ball effect. Excellent backdrop for pitching machines. Includes 3/8 rope border and 6 zinc plated snap hooks Choose from available net gauges and sizes 12′ x 12′ and 14′ x 14′.